What is the price of Nokia 5210 ? 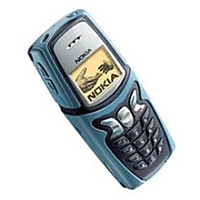 Average price for a phone Nokia 5210 is 47.06 EUR. Nokia 5210 currently costs from 47.06 EUR to 47.06 EUR. We do our best to make our analysis of pricing as good as possible. However it might happen that there will be a mistake on our webiste. If you think our pricing is wrong, please write about it.